Our next concert will be a Chamber Choir concert on Thursday 8th November at 6.30 pm at St Mary-at-Hill Church, Lovat Lane, EC3. 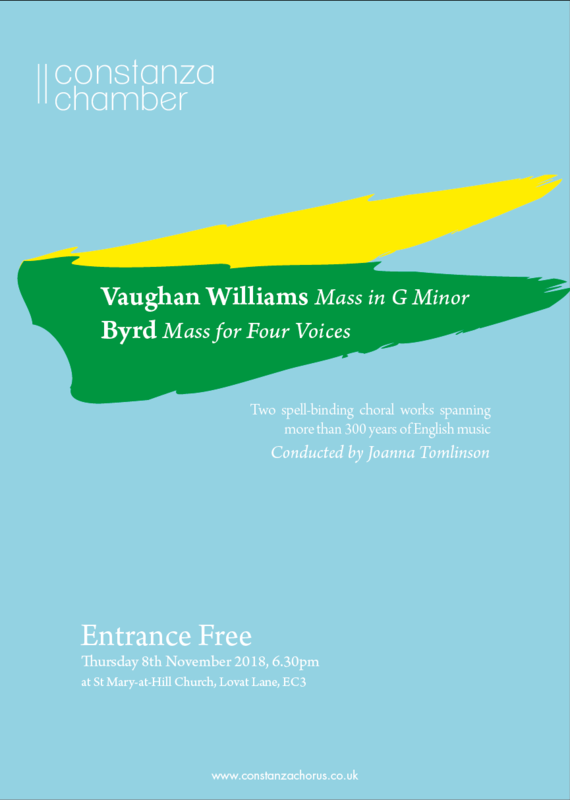 The programme will include Byrd – Mass for Four Voices and Vaughan Williams – Mass in G Minor. The concert is free.